Did you know that it is possible to absolutely love your job? In fact, if you don't love your job, what the heck are you doing? Joe Manausa Real Estate is growing, and we need more high energy, fun loving, competitive people to help us deliver our brand of customer service to the Tallahassee home selling and home buying community. Unlike other real estate companies, we only have full-time salaried positions. We pay very attractive salaries, each with fully paid medical insurance, and cap it off with a profit sharing program that ensures that people who want to make more money are in a position to do so. Our compensation plan has allowed us to attract people from all over the US. In the past four years, we have hired employees who were then living in Ohio, Georgia, Virginia, and several other locations in Florida. They are all thriving in our environment, would you? The process of buying a home, as well as the process of selling a home has changed greatly. We believe it takes a team to deliver the level of service and advice people need when finding, negotiating, buying, and selling a home. Joe Manausa Real Estate works as a team, where the center of that team is the home selling or home buying customer. Our philosophy (and our slogan) is "Why work with a real estate agent when you can hire an entire real estate company." If you look at the comments from our customers below this article, you will see that our system is flourishing for a reason. Our customers are so happy that we have more five star reviews google than all the other real estate agents in Tallahassee combined. It's no secret, we hire exceptional people. People who have a passion for excellence. People who like to be surrounded by other people with the same zest for achievement (if this sounds sort of hokey, you are not likely going to fit in with our organization). Support them with great processes. Demand that they deliver great service. Our business grew by 40% in 2016, and we need more high energy team players to help us grow by even more in 2017. We have positions available for sales people, with or without experience. Generally speaking, we like to hire successful people from outside of the real estate industry and train them to do things the right way, so we really do not care if you have real estate experience. If you do have experience in the real estate industry, you will need to demonstrate that you can change and adapt to our systems and processes (our customers love them!). If you have sales experience and can demonstrate a past pattern of success, we have a Senior Sales position open right now too. Every job opening that we have requires you to be passionate about everything you do. We are a company full of energetic people who all push each other to be the best we can be, so please don't even apply if you are somebody who wants to sit at a desk and look at the clock all day. If you think you belong with our group, simply fill out the form below. 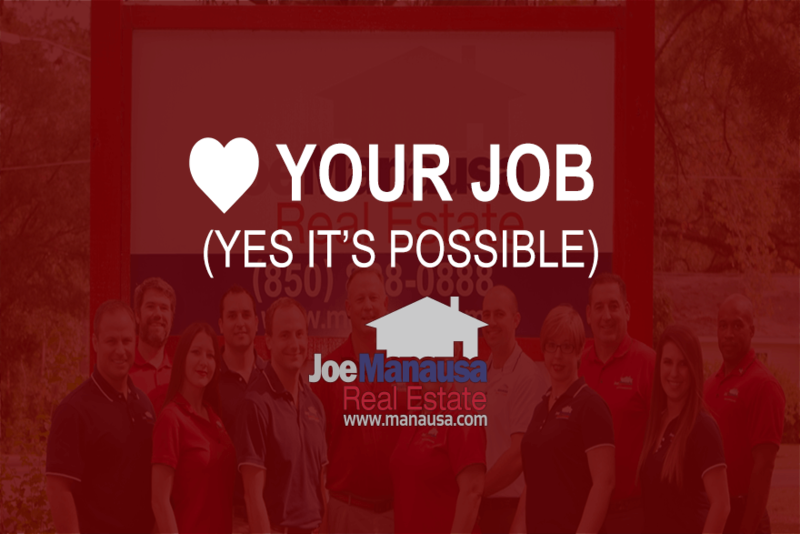 We will send you an email with instructions on how to apply for a career with Joe Manausa Real Estate.